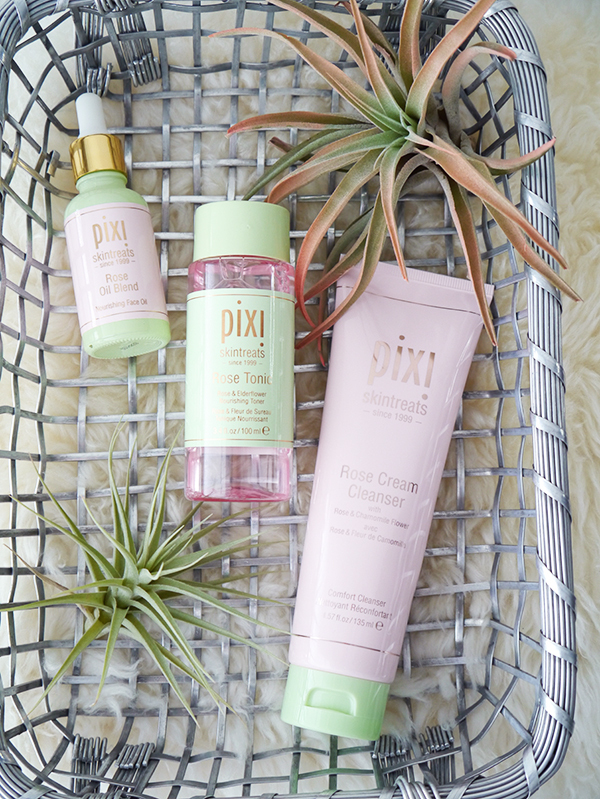 As you may recall from my review of the Pixi Rose Ceramide Cream, I mentioned that Pixi had sent me a whole case of skincare from their Pixi Beauty Rose Infused Collection, a mixture of new launches and new-to-me products. Did I love everything? No, but there were enough highlights to do a round-up of my favourites. More after the jump! Billed as a "comfort cleanser," the Rose Cream Cleanser is rose-scented and oatmeal-coloured. It glides across skin and blends into a thin layer of cleansing cream with zero suds or foam, and it gently cleanses without stripping skin. 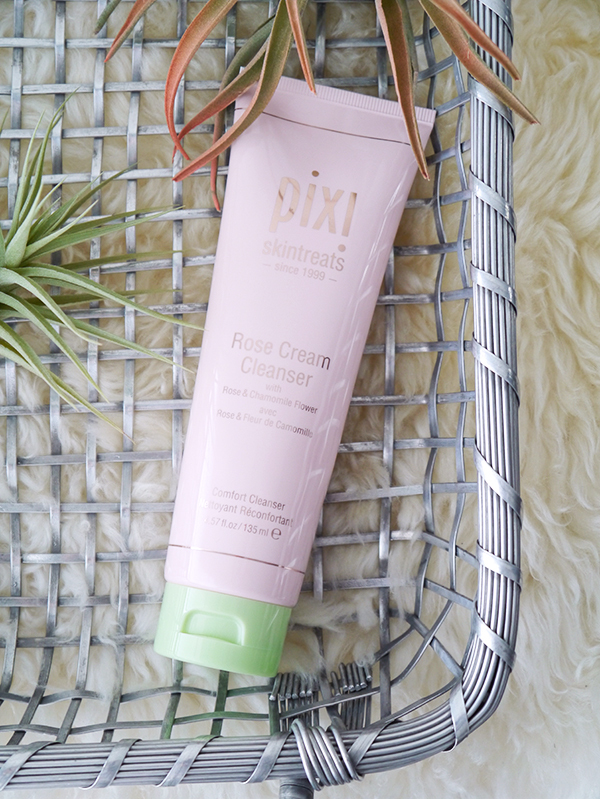 If you're used to industrial-strength sulfate-laden cleansers that remove makeup, sunscreen, dirt and oil in one step, the Rose Cream Cleanser might not be for you. It's more appropriate as the second step in a double-cleansing routine, as a morning cleanser when you're craving something mild, or as the first-and-only cleansing step on days when you're going makeup-free. The first ingredient in the ingredients list is not water but aloe, followed by sunflower seed oil, cetyl alcohol, and glycerin. Translation? It's chock full of emollients and built for soothing, gentling and calming skin. It also boasts mineral-rich mud to cleanse, strengthen and soften skin; rose and avocado to condition; and chamomile to soothe. During the worst of my winter-induced dry/red/itchy/sensitive skin woes, this cleanser felt refreshing and calming on first contact with no stinging, and it visibly reduced redness. 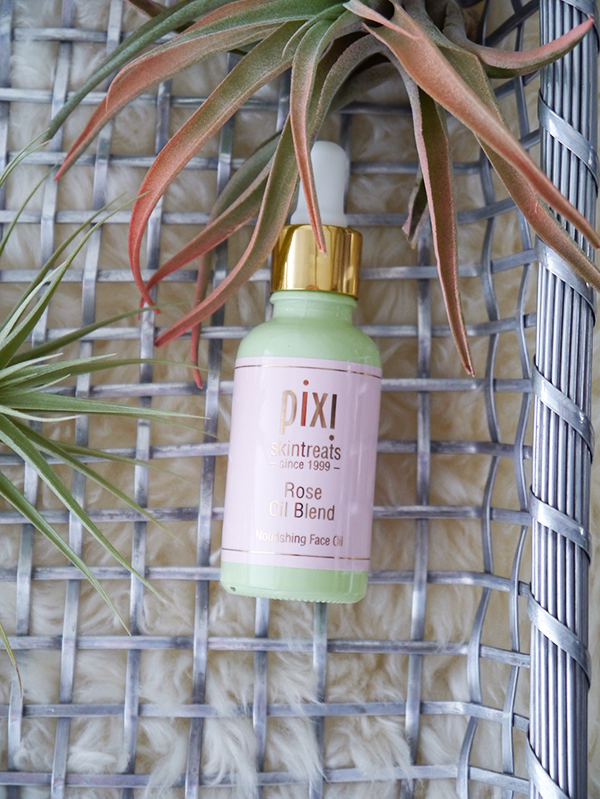 The Rose Oil Blend might be one of the few Pixi skincare products that's 100% natural. The formula boasts rose geranium oil to tone and balance; pomegranate seed oil for antioxidant benefits; and rosehip oil for moisturization and nourishment. This is an all-natural blended facial oil that smells faintly of roses, absorbs quickly and imparts a dewy glow; it moisturizes without clogging pores or causing breakouts. You can blend it with your favourite moisturizer, but I prefer using the dropper to dispense 5-6 drops and pressing it into my face and neck with clean palms. 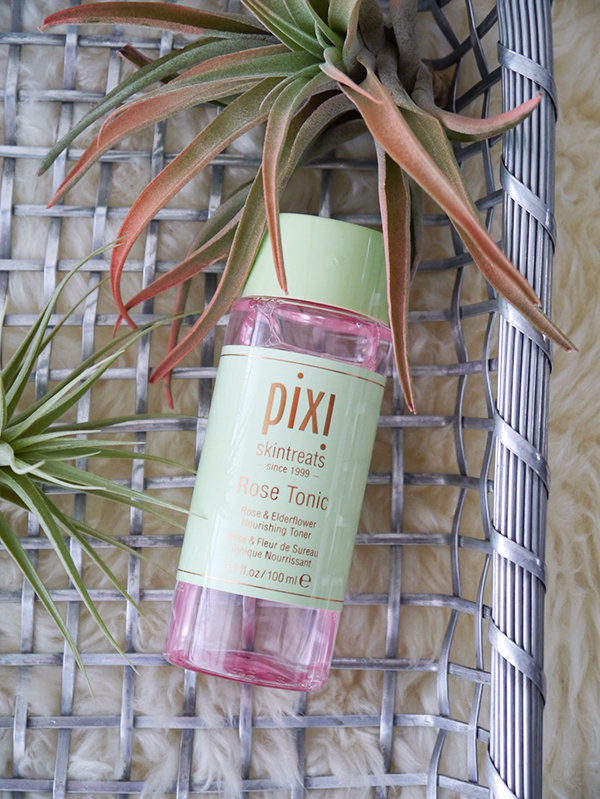 The new Pixi Rose Tonic is the gentle, soothing, redness-reducing sister of the cult fave Pixi Glow Tonic. It blends together rose water, elderflower extract, aloe, hyaluronic acid and botanical extracts into an alcohol-free toner that can be used day or night and is suitable for all skin types. I can't use Glow Tonic twice a day everyday because it eventually leads to redness and irritation; Rose Tonic makes a nice alternative for all those times in between. I definitely recommend it as a "sister toner" if you already have Glow Tonic.